Hi! 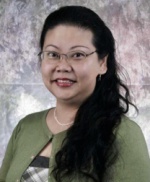 I am Kathy Wu, the Government Information and Economics librarian. If you need any kind of help at all (from: "would you just show me how to find my way around the library?" to "I need help with this research..."), please don't hesitate to ask me. Email me to set up an appointment. I look forward to working with you! Retrieves data series from more than 30 United Nations and agency databases in one search interface. UNdata allows you to search 30 United Nations and agency databases in one search interface. It contains a wide range of subjects including agriculture, crime, education, employment, energy, environment, health, HIV/AIDS, human development, industry, information and communication technology, national accounts, population, refugees, tourism, etc. Full text of National Bureau of Economic Research working papers. Social, economic, financial, natural resources, infrastructure, governance, environmental indicators for 53 African countries. Provides data *as available* for countries and time period; data will not be available for all countries and all years. the world's largest, freely available bibliographic database of work in Economics. Note: if the record includes the message: "Download Restriction: Access to full text is restricted to subscribers" and you are working at home, I recommend setting up VPN and always using that connection from home. VPN makes it look like you're on campus to our subscription-only resources. The University Libraries have license agreements with JSTOR , ScienceDirect and other publishers that allow access to many full-text journals via the web. These selected online journals can be accessed from any computer at the University. If you are off-campus, the first time you click one of these links, you should be prompted to enter your NetID and password to complete the connection, and then be passed to the publisher website. From off-campus, you must use these links so that you can be authenticated and given access to the journals and the Handbooks in Economics series. These links are checked and updated periodically, but if you get "404 not found" or other errors, please email me . Canadian Journal of Economics (1968 - ) incls. links to earlier versions of journal). National (GDP and related data), International (BOP and related data), and Regional data. ◦ Need a historical number or conversion? Try the CPI homepage or the "Calculators & Convertors" section under " Related Resources" at the end of this page. ◦ County Business Patterns - useful for finding data on industries, number of establishments, and employment. ◦ CenStats Databases - Date from the U.S. Census databases, inclding the Consolidated Federal Funds Report, International Trade Data, U.S. counties, County Business Patterns and the Annual Survey of Manufacturers. Data for specific geographic ares, data sets, commodities may be available. our best available source for historical commodity price and production information, e.g. aluminum, corn, gold, lumber, paper, even pork bellies. Print & CD-ROM can be found in the Rhees Stacks HC 14.C73. ◦ NBER also offers a selection of historical CPS datasets; some time series going back into the 1960s. over 100,000 sets of time series data! The ultimate resource for the "I just need some data" situation. a vast resource for monetary time series data. commentary on current economic conditions; the Beige book is a way to tune into current economic trends. Inter-university Consortium for Political and Social Research - ICPSR. Massive collection on social survey data, but be warned: requires knowledge of SAS, SPSS, Stata, or similar statistical package to work with these data sets. This is not the source for a project that's due tomorrow (or even next week!). Suitable for major, in- depth, long-term research. data sets associated with the articles published in the journal. source for economic and demographic data in New York State. Most journals, newsletters, and working papers published by the Federal Reserve Banks (FRBs) are available at their websites. Fed in Print - Index and abstracts for all Federal Reserve System economic research documents; links to full text if available. A database contains more than 381,000 economic time series from 81 sources. It covers banking, CPI, exchange rates, GDP, interest rates, monetary aggregates, PPI, reserves and monetary base, and the U.S. financial data. The time series in the database are compiled by the Federal Reserve and collected from government agencies such as the U.S. Census and the Bureau of Labor Statistics. data on US and World imports and export activity, tariffs and trade; a few Asian economic data sets, mostly available for downloading. Foreign Labor Statistics from the (U.S.) Bureau of Labor Statistics. mainly demographic; construct your own report and view or download the data. Also see OECD iLibrary - listed with databases. full access to all OECD publications and data. choose and manipulate datasets for 152 countries and 29 subjects. Many of their publications are available in PDF format, plus information on regions and countries. very useful compilation of a wide range of current facts and figures, plus maps, for all the countries of the world. The following link provides access to Economics (and some Finance or Accounting) working papers websites. If the full papers are not available on the web, the site will usually tell you how to order a hardcopy (and this service is usually free). If the University of Rochester has printed copies of a paper series, the call number is provided. Business Working Paper Links - compiled by the Kopolow Business Library at Washington University. An excellent list of links for finding business working papers from over 400 institutions. Arranged by topic; indicates if full text is available online. Centre for Economic Policy Research (CEPR) - UR has access to online CEPR papers. All CEPR Discussion Papers published since the beginning of 1999 (i.e. from No. 2050) are available as electronic (PDF) files. UR has print copies for 1984-1999 at Rhees Stacks HC10 .D545. CESifo Working Papers (University of Munich Center for Economic Studies & Ifo Institute for Economic Research). Fulltext for most of 1998, complete 1999- ; abstracts for earlier papers. Copies can be ordered free of charge. Board of Governors' Publications (all types). Note the Finance & Economics Discussion series and International Finance Discussion Papers are also available at Rhees Stacks HC110.I5 W6, 1985-. Atlanta - current, links to earlier years at bottom of page. Hardcopy in Rhees Stacks HC107.A13 W6. Boston. Rhees Stacks HG2613.B7 W6. Cleveland. Rhees Stacks HG2613.C64 F45 (1984-1995). Dallas. Rhees Stacks HC101 .F56 (1994-95). Minneapolis - many types of publications, including working papers (scroll down). Check also the Harvard Economics Dept. papers on SSRN - full-text may be available there and not at the dept. site. Levy Economics Institute of Bard College. Extensive collection of working papers, public policy briefs, strategic analysis, etc. Click on "Publications" in the top bar to see the whole list. National Bureau of Economic Research (NBER) - searchable database of all papers; our subscription provides access to all PDFs. Hardcopy up to July 2000 are located in Rhees Stacks: HB1.W62. Social Science Research Network (SSRN) homepage. Working papers in accounting, economics, financial economics and more; full-text download in PDF format. Jump directly to the paper search interface: http://papers.ssrn.com/. Stanford University Hoover Institution - note: their working papers are not online, and not listed anywhere as a separate publication. Talk to Business and Government Information Library staff for assistance if you need a Hoover Institution working paper. Other publications are indicated on the Hoover Institution Publications page. U. Minnesota: Economic Development Center A list of papers is online; hardcopies can be requested free. Rochester Center for Economic Research (RCER) - papers 1996-present. Papers from 1999- have PDF versions available. Backfile lists: 1985-1990, and 1991-95. Copies of the current years' papers are available in the Business and Government Information Library; bound volumes of all papers, 1985- , are in Rhees level 300 stacks: H1.W63. Other Simon School working paper series will also be found at the HB1.A17 call number area. Wharton School Financial Institutions Center Working Papers (U. Pennsylvania). World Bank Research: document search interface. Note the links under the search box: you can also browse by Date, Topic, Region, or Type/Series. Yale U.: Cowles Foundation Papers. These papers are reprints; all appear as articles published in journals. The citation information to the journal is provided for each paper (they are not available online to download, due to copyright restrictions). Search by keyword or browse by date. Full text. Search by Media Type to limit to items containing media such as maps, photographs and tables, some of which are exportable. “Browse by Date” feature reveals gallery of front covers. Includes advertisements. Access the daily edition of the Wall Street Journal (New York Times, and more). Link takes you to the "News Page" function in Factiva, which provides 2 weeks of daily backfiles. To search the entire backfile of the WSJ (and many other news sources), go to the Search interface. Full text articles published in the Wall Street Journal. Financial, statistical and market information on active and inactive global companies throughout the world. Special instructions: requires an account for use. Contact Kathy Wu (kathyw@library.rochester.edu) in Rush Rhees Library. Orbis includes (209 million) global companies’ financial accounts, credit scores from a number of independent providers, directorships, ownership structures, PEPs and sanctions information and details of mergers and acquisitions activity. Over 99% of the companies on Orbis are private. Private company information is more difficult to obtain as the legal obligation to file account varies widely from country to country. Unified access to all IMF economic/financial data & statistics for over 200 countries. Four databases in one: IFS, BOP, DOT, GFS. Unified access to four IMF databases: International Financial Statistics, Balance of Payments Statistics, Direction of Trade Statistics, and Government Finance Statistics. Time series data is not always complete for every country. Offers access to the full range of OECD statistical publications; coverage is global. Formerly known as SourceOECD. Downloadable time series data on debt and financial flow for countries that report debt to the World Bank. Downloadable datasets of basic economic indicators (exchange & interest rates, commodity prices, CPI, PPI, etc.). Click Here to see the handout on Adjusting Data in the Global Financial Data database. Create a personal login for full functionality. Provides long time series, and various interactive analysis tools. Global coverage is selective: can't guarantee that data will be available for every country. Note! UR does NOT subscribe to the US Stock or Global Stock Database sections. Datasets and codebooks in political science, health and welfare, education and economics. Datasets, with codebooks, on political attitudes, health and welfare, education and economic behavior. Almost all codebooks are online. If a codebook is only available in hard copy, you may contact us for more info. This database contains data for economics, market research, demographics, education, health and more from many different sources. Vizala also provides tools that allow you to customize any view of data with filtering and sorting options. You can then save, share, or export any of those customized views. Debt statistics provide a detailed picture of debt stocks and flows of developing countries. Data presented as part of the Quarterly External Debt Statistics takes a closer look at the external debt of high-income countries and emerging markets to enable a more complete understanding of global financial flows. The Quarterly Public Sector Debt database provides further data on public sector valuation methods, debt instruments, and clearly defined tiers of debt for central, state and local government, as well as extra-budgetary agencies and funds. Data are gathered from national statistical organizations and central banks as well as by various major multilateral institutions and World Bank staff. includes data and metadata for OECD countries and selected non-member economies. Covering 23 topics, including Demography/Population, Economics, Globalization, National Accounts, etc. ◦ How much is that? - Part of the Economic History Services web site, sponsored by the Economic History Association and others. Provides a whole list of calculators concerning the US dollar and British pound; growth rates, GDP, earnings, and financial indicators (interest rates in the US and UK; DJIA daily closing values, 1885-present). ◦ Mortgage and Finance Calculators - "Over 100 Personal Finance Calculators;" a long list of calculator sites for mortgages, home and auto loans/leases, CDs, debit, credit, college savings, taxes, and retirement. Emphasis on mortgages, but plenty for all the other topics as well. ◦ XE.com - just a quick, easy currency converter. ◦ Annual Consumer Price Index for the United States, 1774-2014 - CPI time series data. ◦ The Inflation Calculator - Use this calculator to adjust any given amount of money, according to the Consumer Price Index, from 1800 to the present. ◦ Quick CPI Inflation converter from the BLS. Conversions from 1980 to present. ◦ Cost of Living Comparison - A calculator to compare cost of living between US cities. the Library of Economics and Liberty. A notable new resource: offers full-text of classic economics texts, articles and essays on contemporary topics, a citation generator with choice of formats, reading lists and reviews of material to help you start further research, quote of the day, etc. Lauren F. Landsburg is the editor, Prof. Mark Bils is on the advisory board. publications include variety of economic materials designed for a wide range of audiences with different levels of expertise. Jobs in economics, statistics, and finance; corporate, government, and academia. Search by job or course title, city, description, or job type. Job seekers can join and post their resume. Highly interactive site, allows you to specify exactly what sort of job you're looking for (including by JEL classification) and search their listings - or simply browse the whole list. Includes an option to sign up for an email alert service: weekly postings of new jobs and conferences. The website provides the latest 3 issues of this publication, devoted entirely to job ads, put out by the American Economic Association. Site also offers a pertinent Feature Article. The job "classifieds" from the latest issue of The Economist. Highly international, and often not entry level, but very convenient to be able to scan them on the web. One week old job ads from the Chronicle of Higher Education for economists. (a companion to the Occupational Outlook Handbook), is a good overall guide that provides information on the "nature of the industry, working conditions, employment, occupations in the industry, training and advancement, earnings and benefits, employment outlook, and lists of organizations that can provide additional information." is a very good interactive tool that provides salary data by place (US, Canada, and International), for a wide range of job titles. Each report includes area base salary, low-average-high rates, and comparison to national averages and cost of living. Surprisingly extensive, and free. A useful collection of links including ones that enable you to compare cost of living by location; compare the buying power of the same salary in different locations, etc.